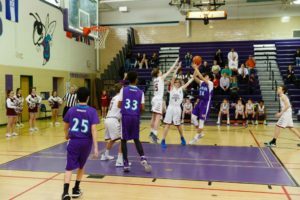 Gunston offers interscholastic athletics in the following areas: boys’ soccer, girls’ soccer, boys’ basketball, girls’ basketball and co-ed tennis, wrestling, cheerleading, diving, swimming and track. Students must try out for soccer, basketball, cheerleading and tennis and must pass a deep water test for diving and swimming. In order to participate on any interscholastic team, a student MUST be in good academic standing and have a current physical form (pdf) on file in the school clinic. Current is defined as May 1, 2016 or later. The season for each sport runs approximately 7 weeks with practices generally every day after school from 2:30-4:10 (except for diving and swimming which practice 3 times per week). Both Arlington middle and high school athletes are required to complete an annual VHSL physical form for middle and high school athletic participation. This includes tryouts and practices. APS uses this form for middle school athletics to create consistency between grade levels. If you have any questions, please contact Luis Matos.